Dorney Park <- Click and donate to one of Team TPR's riders! Canada's Wonderland <- Click and donate to one of Team TPR's riders! 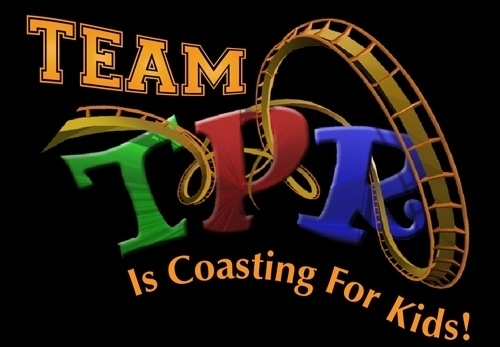 Kings Island <- Click and donate to one of Team TPR's riders! Coasting for Kids 2015 is happening on Sunday, June 7th, 2015! Theme Park Review is proud to announce that we are once again working with Give Kids The World to help raise money for Coasting For Kids 2015! It's that wonderful time of year again! Theme Park Review is proud to announce that we are once again working with Give Kids The World to help raise money for Coasting For Kids 2015! 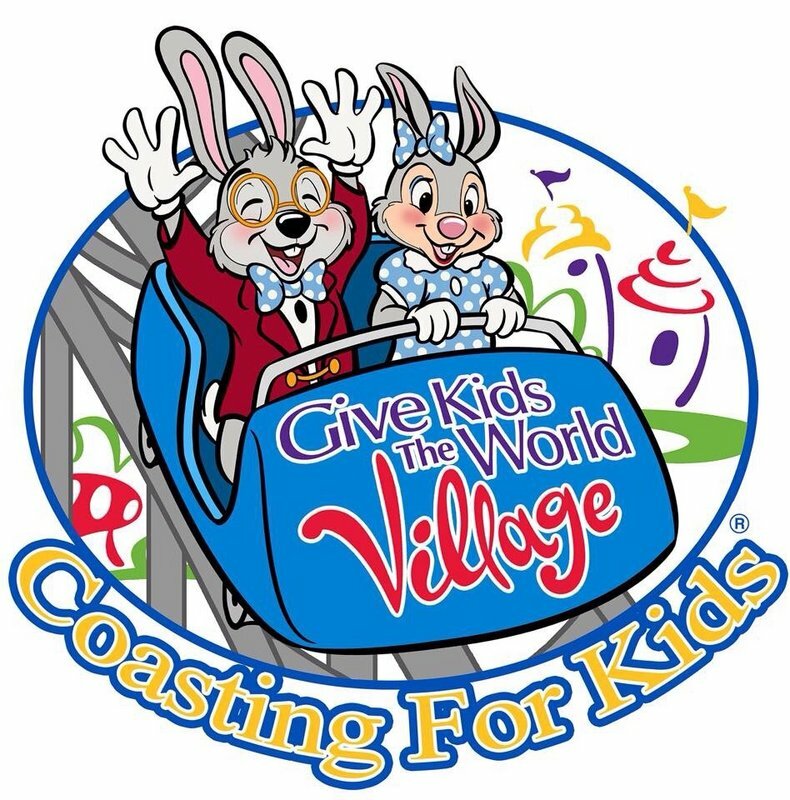 This year's Coasting For Kids event takes place on Sunday, June 7th (Sunday, June 14th at Valleyfair). What is "Coasting For Kids"? It's a fundraiser hosted by Cedar Fair, with the proceeds going to Give Kids The World, a wonderful organization that helps children with life threatening illnesses. In short, it's riding roller coasters for a GREAT cause! Robb & Elissa have asked me to again help coordinate this year's Team TPR effort, and I am more than happy to do so! Team TPR will consist of TPR members raising money while riding roller coasters. But we need riders! And this is where YOU come in! We need as many TPR members as possible who are willing to ride a coaster (or coasters) at a Cedar Fair park for six to eight hours. You'll register your donation page at the links below, and get as many of your fellow TPR members, co-workers, family, friends, Facebook friends, Twitter followers, etc to donate to your page. Top riders who get the most donations will get some cool stuff, too! Below are the links to start your donations page for the Cedar Fair park you wish to be a rider at. Simply click the link, go through the registration process, make SURE you affiliate yourself with Team TPR (or, if it doesn't exist yet, we ask you to please create it), and then reply to this thread with a link to your donations page so we can help promote it! There is a tax deductible, $25 registration fee that will fully be donated to Give Kids The World. That fee will also include your event T-Shirt, ERT on one or more roller coasters (TBD) on June 7th, plus food and drinks the day of the event. You do not need to worry about park admission. All participants will be required to pay the $25 registration fee and raise a minimum of $75 in order to participate. Those who have participated in the past will tell you this day is a ton of fun for a great cause, so I recommend that everyone participates! 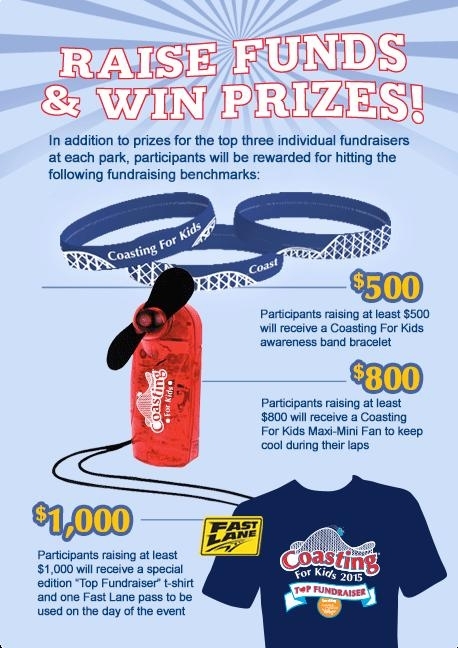 Again, Coasting For Kids 2015 is happening on Sunday, June 7th at a Cedar Fair park near you! Register below to help raise money for Give Kids The World. You will get to ride a roller coaster for six-plus hours. Trust us, you do NOT want to miss out on this! Be sure to affiliate yourself with Team TPR!! Event time: 9:00 a.m. – 7:00 p.m.
Marathon Taking Place On: Flight Deck & Demon, Participants can take the first ride of the day on Gold Striker at 9:50 am to kick things off. Event time: 8:15 a.m. – 3:30 p.m.
Marathon Taking Place On: Groups will be split into three groups and will rotate riding the following coaster: Renegade, Wild Thing, Higher Roller. Raise some cash, get some sweet stuff! There is plenty of incentive to get those donations in! Post about your fundraising page on your Facebook, Twitter, or anywhere your friends might see it! Send an informative e-mail about this amazing cause and your efforts to your family and close friends! Even just a $5 donation will help out! In 2014, Team TPR raised an incredible $42,269!! And I believe in my heart that we can do even better in 2015!! This cause and this charity is worthy of our time and efforts.....let's make Coasting For Kids 2015 the BEST one yet! GO TEAM TPR!!! **NOTE #1** - Once you register, please diaplay the Team TPR Logo (below) on your fundraising page! Not only is it sleek and super hip, but it lets everyone know you are part of an amazing group of people who are united to support GKTW!! Team TPR Logo! Oooooo, pretty! **NOTE #2** - YOUR CUSTOM SIGNATURE BANNER! I will be updating this front page as often as possible, and will be posting in this topic fairly frequently. If you have any questions, please let us know! Now, go join a Team TPR, start fundraising, and get pumped to go Coasting for Kids!! Last edited by jedimaster1227 on Wed Feb 27, 2019 8:11 am. I'm in for my first year of Coasting For Kids at Kings Island! I've heard too many good things about this event in the past couple years to pass it up again. I'll ride the Racer 'til the wheels fall off to support what GKTW's doing. TPR's all about having fun at amusement parks, and this is our chance to give that experience to families who could really use it. Here's a link to the Team TPR page for Kings Island, and a rough itinerary posted on Kings Island's website. If there's anything else that can be done to help with the group's efforts at Kings Island, count me in. This is my first time participating in this event and I can't wait! This is a HUGE opportunity to do some good in the world! Let's help out some children! I'm in for my third year at Dorney Park. This is a wonderful event and an excellent way to give back. Fourth year doing Coasting for kids, first year not at Kings Dominion. Last edited by Homeboy23 on Tue Feb 17, 2015 12:04 pm. Year #4 lets get rolling! As always, I've signed up for the Canada's Wonderland event. Doing this is never a question for me. I will always support this awesome cause. Just sent 15 dollars Kyle's way. I won't be able to participate in the event this year since I'm flying to Japan that day. I'll probably try to raise money, because my friends have been very giving to this in the past.